Madrid, May 30, 2018. 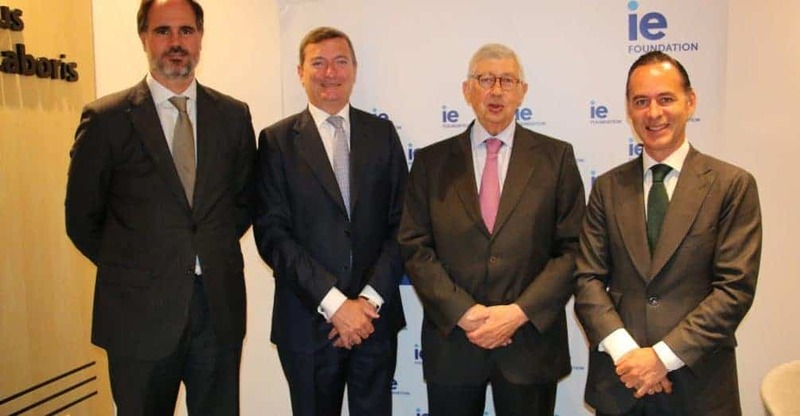 The IE Foundation and Spanish law firm Sagardoy Abogados today signed an agreement to encourage research projects by the IE Foundation's Demography and Generational Diversity Observatory. The Observatory of Demography and Generational Diversity was set up in 2016 to research the impact of demographics on business. Its sponsors, the Santander Foundation, La Caixa Foundation, Mapfre, Red Eléctrica Español, Renfe and Telefónica, have now been joined by Sagardoy Abogados, as well as working with companies such as People Matters and a team of experts in the field. As part of the agreement with the Observatory of Demography and Generational Diversity, Sagardoy Abogados has written a research paper entitled Los trabajadores seniors en la empresa española: realidades y retos (Senior workers in the Spanish company: realities and challenges) that the Observatory will present soon. This paper addresses an essential issue that Spanish companies that will soon have to deal with: the challenges posed by an ageing population. This paper will be the first in a series to be presented by the Observatory in conjunction with Sagardoy Abogados. At the signing ceremony, Rafael Puyol, Director of the Observatory, underlined the importance of analysing and understanding global demographic changes as indicators of economic and social changes, as well as drivers of new business opportunities. Rafael Puyol also expressed his satisfaction at the incorporation of one of Spain’s leading law firms into the Observatory. For his part, Iñigo Sagardoy, a managing partner at Sagardoy Abogados, noted that managing the diversity resulting from different generations in the same workforce is both an opportunity to improve the competitiveness of companies, while remaining one of the main challenges in HR management.